One of the most wonderful benefits of having friends all across the nation, is the knowledge that at some point in time, you can arrange to get together for visiting and fun times. A number of years ago, there was a group of us that would go on vacation together each summer. It never really mattered where we went…we always knew there would be good food, lots of laughs, AND adventures!!! The day arrived for our rafting adventure. There were eight of us. Since the rapids were very mild, and the attendants told us it was very rare for a raft to be overturned, and…not wanting to really look like a nerd, I chose not to wear my nose plugs. 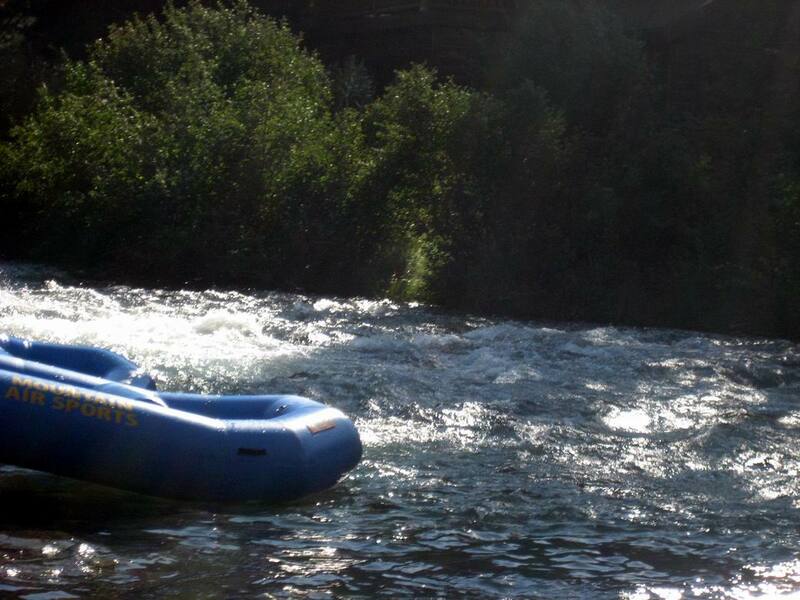 So there we were, two at the front of the raft, two at the center, and my best friend and I sitting on the back. We set off and were having such a wonderful time, laughing, enjoying being together, and just being outside in all that glorious beauty. One of my friends at the front kept wanting to make the ride a little more adventuresome, so instead of just allowing us to “drift” down the river, she would try to direct the raft toward the more “active” rapids. She was “admonished” the entire time, and asked not to do this, as all of us just wanted to make the ride last as long as possible, and not have to “work” at it. She just could not help herself, though, and she kept trying to redirect our path. I was enjoying the trip so much, that, eventually, I zoned out and did not pay her anymore attention. Everything was fine until she had somehow gotten us over to one side of the river. The last words I heard from everyone was, “Cat, watch out for that tree…..!! !” I looked up just in time to see the branch swiftly approaching my chest. There was no where to go! The branch caught me in the chest and flipped me over backwards into the water. Knowing my fear and my ability to panic in a heartbeat, my best friend grabbed the waist of my swimming shorts as I flipped over, to keep me from being tossed from the raft. However, she (and I) now had a new quandary…she was holding my bottom up on the raft, but my chest and head were underwater. She knew that if she kept holding me in the raft, that I would surely drown, so she just let go. She and some other friends jumped in immediately to help. Here’s the funny part…when she let go, I simply flipped over and then stood up in about two feet of water. I was safe!! Even without the nose plugs!!! Since the rapids had taken our raft on down the river, we were stranded, until a raft came by with a bunch of guys on a bachelor’s party/trip, drunker than a skunk! They pulled us into their rafts and we made it to the end of our river journey safely. Among many other valuable lessons in life, my Father taught me how to drive a car…and a truck…He was so very patient (and BRAVE!!) We started when I was about five years old, and he would let me sit in his lap and “help” him drive to church. Yes, I KNOW, it is a wonder I am alive today!!! LOL! Just to send you into a real “tizzy,” I also used to lay up over the back seat of the car, right next to the back windshield, and gaze at the stars at night…So, yes, I am a one-woman-wonder…I survived!! So…getting back to learning how to drive…As I got older, I got to sit behind the steering wheel myself, with Daddy in the passenger seat. He never hollered at me, or shouted out in fear, he never reprimanded me. He simply, gently, taught me. Whenever I would get to going a little too fast, he would always comment, “You’re getting a little too pure…” I knew what that meant, and I would slow down a little. To his and my credit, I have had only one wreck in my life, and it was the fault of the other driver. I’m thinking his teaching methods were pretty successful! But the greatest lesson he taught me was how to live “Christ-like.” I have watched my Father all of my life, and I can say beyond a shadow of a doubt, that he LIVES his beliefs and faith. There were times when I wanted him to get angry at a situation, to lash out at individuals who were hurting him or our family, but he never would. He ALWAYS turned the other cheek…”70 times 70…” His faith, along with my Mother’s, has been the driving force in my life. It is the one thing that I am sure of in this life! About halfway through my life, I realized that he and I never really verbalized our love for each other. I always told Mother I loved her, but I could not remember doing that very much with Daddy. Once I made that realization, I set about to correct it. He now hears the words “I love you” each time we talk and each time we are together. He KNOWS it!! 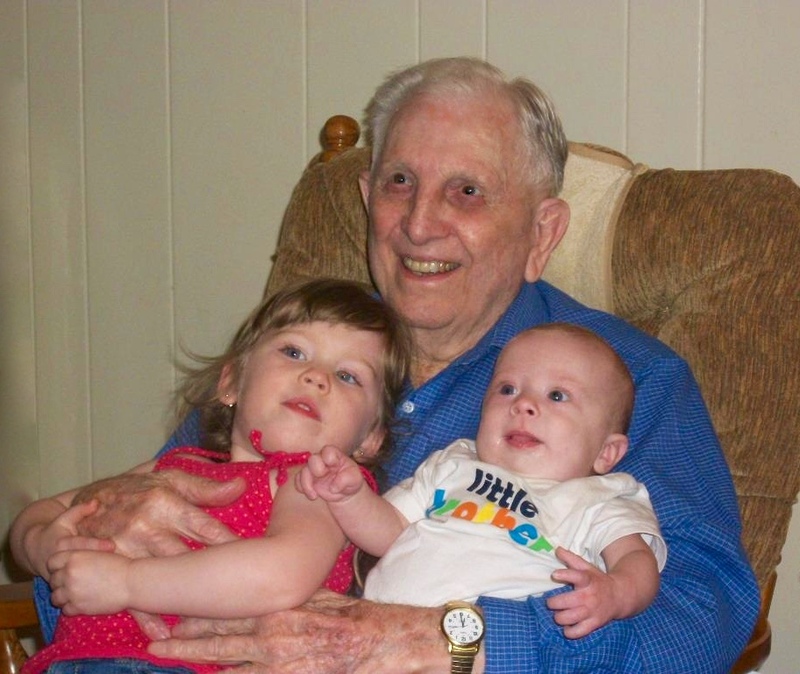 He will turn 89 this year, and I am so thankful that I have him! He will never know how his lessons direct my path and my actions, even when I tell him. So, on this past Father’s Day, as well as all the other days, I love and appreciate him even more. What a blessing that God gave me to him and Mother! As kids, we all learned those old “comebacks” to win an argument: “Oh yeah? Well, your Mama…” “Nah, nah, nah, nah, nah!” “I know you are, what am I?” And of course, the best one, “Sticks and stones will break my bones, but words will never harm me!” As we grew older, we learned very quickly that words could indeed harm us. In his book, “All I Really Need to Know I Learned in Kindergarten,” Robert Fulghum gave us a new quote regarding “sticks and stones.” He writes, “Sticks and stones may break our bones, but words will break our hearts.” I would like to add to that statement. Words will also break our spirit. I am sure you have guessed by now that the “power” for this week is WORDS. At conferences, I am often asked to present a session entitled, “They’re ONLY Words…” In that presentation I tell of a little girl in the second grade. She was very tiny for her age, and had a “clubfoot.” (Also called congenital talipes equinovarus (CTEV), a congenital deformity involving one foot or both. The affected foot appears to have been rotated internally at the ankle. Without treatment, people with club feet often appear to walk on their ankles or on the sides of their feet.) In addition to this deformity, she had a “cauliflower ear” and could not hear very well with that ear. (Cauliflower ear is a condition that occurs when the external portion of the ear suffers a blow, blood clot or other collection of fluid under the perichondrium. As a result, the outer ear becomes permanently swollen and deformed, resembling a cauliflower.) I have told you the exact definition and descriptions of those two deformities because I want you to get a good visual image of this small child. This was quite a few years ago, before we had all of the latest technology to test someone’s hearing. The way they tested a child’s hearing in school went something like this: the teacher would call up one child at a time, whisper a phrase into their ear, and ask them to repeat the phrase they heard…all conducted in front of the entire class. The little girl remembered last year when this was done…how she was embarrassed and humiliated to have to go before the class, dragging her little foot, and hoping against hope that she could hear the phrase well enough to repeat it. I can just picture her…her heart pounding so loudly in that little chest that you would think it might explode…trying to remember to walk as straight as possible, not limp or drag her foot…and praying so hard that she might actually hear what the teacher would whisper in her ear. (I can never tell this story without tears springing to my eyes. I am such a visual person, and I can see this little girl in minute detail every time I recount this event. Even now, I am writing this with tears in my eyes.) So, it was time for her to walk up to the teacher. She took a little longer getting there than the rest of the children. As she was walking to the front of the class, she heard the comments: “retard,” “gimp,” “not right in the head…” Oh yes, she heard all of that!! She finally reached the teacher, turned her “good” ear to her, and tried to hide the tears already forming in her eyes. The teacher leaned down, scooped the child as closely in her arms as possible, and whispered tenderly to her, “I wish you were MY child!” And right there, in that moment, those words made all the difference in the world to that child. Just from those few words, she discovered that she had worth and value; that someone wanted her…defects and all. Those words gave her hope! I hear what people say to their children. I hear what people say to the people they supposedly love. I hear what people say to, and about, the people they work with. I hear what neighbors say about other neighbors. I hear what husbands and wives say to each other. I hear what children say to their parents. And my heart breaks over and over again. When did we become so cruel? When did we become so uncaring? Once a word is spoken, you can never take it back. There are no “do-overs.” You can never really correct it. Oh, you can apologize, but the memory, and that you said it in the first place, will ALWAYS be remembered. Words can absolutely destroy a person. Words can lift and encourage one’s heart and spirit.